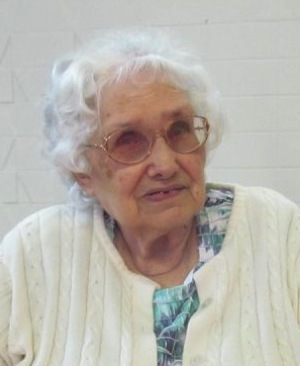 Barbara Showman, 82, of Fremont, OH passed away on Monday, April 08, 2019 at the Tiffin Rehabilitation Center in Tiffin, OH. She was born September 15, 1936 in Luckey, OH, the daughter of Harry E. and Amelia M. (Hammersmith) Carr. Barbara married Ronald J. Showman, Sr. on July 30, 1955 at St. John’s Lutheran Church and he preceded her in death on May 21, 2016. She worked as a clerk at Tremper’s and then for Fremont City Schools as a custodian where she retired in 1999. Barbara was a member of St. John’s Lutheran Church where she taught Sunday School. She was involved in the Boy Scouts with her husband, Ronald, for over forty years. Barbara was also a representative for Avon for many years. She enjoyed playing bingo, the lottery and traveling. Barbara is survived by her children, Ron (Bonnie) Showman, Jr., Clyde, Pam (Mark) Stott, Deshler, OH, Beth (Jeff) Stout, Fremont and Mike Showman, Sr, Lindsey, OH; siblings, Mary Carr and Betty Broshious both of Fremont, OH and Phyllis Peters, Tiffin, OH; twelve grandchildren and twenty-one great grandchildren. She was preceded in death by her parents; husband, Ronald J. Showman, Sr.; siblings, George, Joe and Harold Carr and Geraldine Shockley. Visitation: Thursday, April 11, 2019, from 11:00 am to 1:00 pm at Wonderly Horvath Hanes Funeral Home and Crematory, 425 E. State St, Fremont, OH. Services will follow at 1:00 pm at the funeral home with Pastor Matt Wheeler officiating. Memorials: St. John’s Lutheran Church or Boy Scouts of America. Pam, Mark and family, so sorry to read of your Mom’s passing. You are in our thoughts and prayers. What a wonderful lady Barb was!! I had the pleasure to know her and spend time with her as she and Ron mentored my late husband Mark L. Conley, as he worked with them in scouts. He also adored both of them. They treated our children as their grandchildren and always gave words of wisdom to them. I pray for comfort and strength that only God can give you all. I am so sorry for the loss of your mother. My thoughts and prayers are with you and your family. Barb and Ron were not only part of my life growing up but Ron was my son Steven Butscher’s scout leader. They were amazing people and always welcomed the friends of their children. I’m so sorry for the loss that the family and friends are going through. Barb was always so sweet to me & my family..she was the best Avon lady ever…sending my deepest condolences. I am so sorry for this news and I am praying for all of you kids. Barb was like a big sister to me and a very dear friend who treated me like I was important. (But then again, she treated EVERYONE like that!) This lady was so special and loving and everything you would want in a friend. It is just so sad, and we will miss her terribly, but we must be happy for her since she is now in Paradise with your dad and the Lord. Again, so much sympathy goes out to you and all your dear family. Mary, Betty, Phyllis and families. So sorry to hear of Barbs passing. You are in my thoughts and prayers. I wish i could be there. I live in Florida now. Your cousin Linda Jewell Martinez. All of you have my deepest sympathy in the passing of your mom, sister, aunt, and friend. Barb was always so nice and had a good word to say whenever around her. I will keep her memory in my heart. She was a truly great, God-fearing person. Heaven and Ron are rejoicing in her arrival! My prayers are with you all! Dear cousins, I’m sorry to hear of Barb’s passing. I have a fond memory of her and Ron at Aunt Lulu’s. They were such a great couple. I’m praying for you and your families. Dear Showman family….I am so sorry for your loss. Barb was such an amazing woman. She helped me get my first REAL job at Tremper’s. Such great neighbors. I never heard her mad. She always had an open heart for everyone. I am truly saddened by her passing. You all are such a wonderful family. May you find comfort in knowing that she is reunited with Ron. They were a teal picture of love. Again my deepest sympathy for you all!